You can provide your feline friend with sufficient food and water, but that is not enough to keep her happy. Cats have a reputation in being natural hunters, remain aloof and are agile and swift. And being in their good books may be difficult at times. Here’s what you need to know before you attempt at keeping her happy. Just because your kitty has been domesticated and stays indoors, doesn’t mean she’ll lose her hunting instincts. Because hunting is not just a way to chase and feed themselves, but also a source of having fun too. Cats love neat and spacious places. They love to be outdoors, where they get an outlet for displaying their strength and energy. Cats are social animals. They need attention and interaction. Any sudden changes in their place – they think of as “home”, affects them. That’s why you need to be aware of what your kitty actually wants and needs. While each one of them is more or less different than the other, few things stay the same. Here are few ways you can keep your feline friend joyful and playful in your home. Like humans, cats need to have their food on time. Have a definite feeding routine for your kitty. As cats are likely to get grumpy or eat anything they find worth eating, do not make her wait for food for too long. Also, have a specific place where she can enjoy her food. Cats are not really fans of transition. Having a spot reserved for your cat can definitely make her happy. 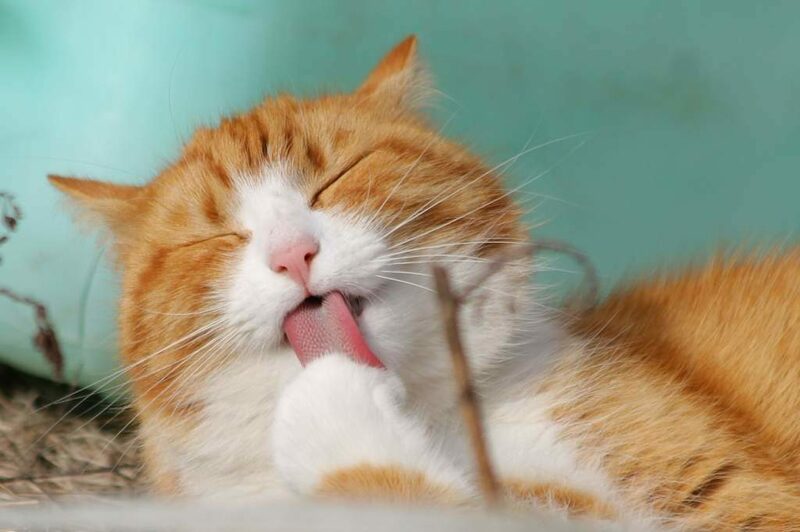 After all, everyone loves a little “me” time, including our feline friends. That won’t just give her a feeling of freedom and security, but also the comfort of staying indoors. The place need not be fancy, but good enough to make your kitty feel relax and have good sleep. Cats have a natural instinct to scratch places in order to make their claws sharp and in shape. And also to keep others away from their territory. While some cats scratch in a vertical direction, others scratch horizontally. Notice her habit and provide her with such similar surfaces to scratch onto. Cats love playtime where they can run, pounce and leap. That is why pampering them with toys is a great idea. While you can opt for toys for cats, don’t get amused if your kitty doesn’t play with them. Other inexpensive toys can range from toilet paper to yarn balls or something interactive that will make your kitty more curious and jumpy. Again, toys are excellent ways to prevent your cat from going outdoors. Cats tend to form strong bonds with humans with time. Try to spend some time with your kitty – don’t force it though. Let her adjust to your presence and interact accordingly. Cats love to be touched on their faces, so can stroke her face too, while petting her. Cats are difficult to deal with at times. Nonetheless, they are worth our time, attention and efforts. Following the above tips will definitely keep your little feline friend happy and healthy. This entry was posted in Home & Habitat and tagged Cat.